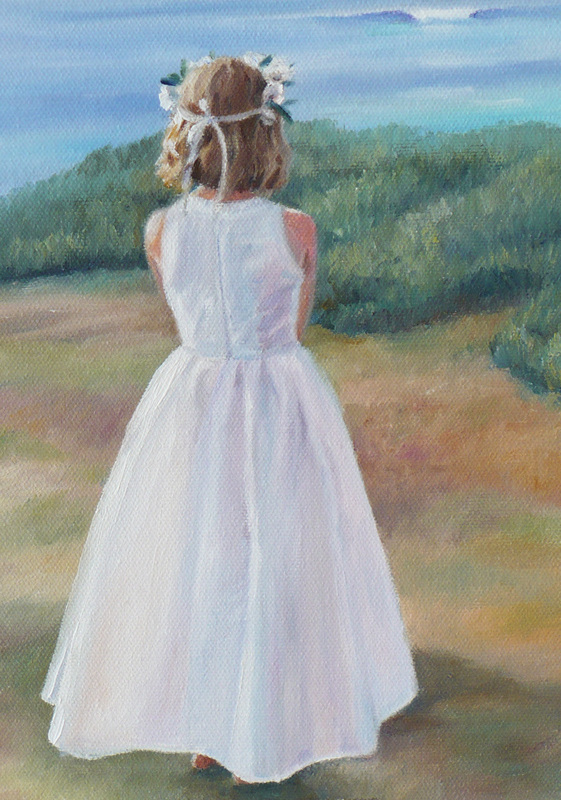 With Spring here and the flowers beginning to bloom, it's a lovely time to share a wedding painting I did for a client last year. 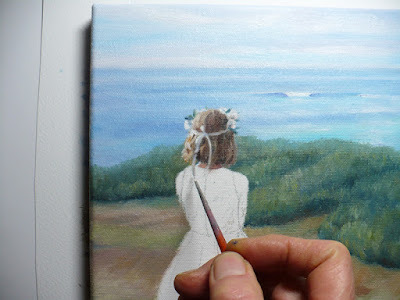 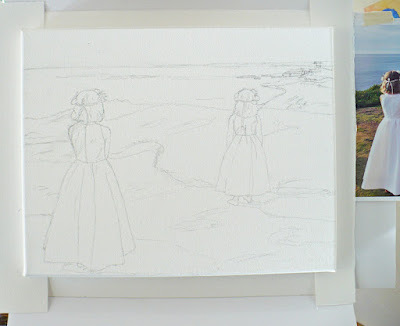 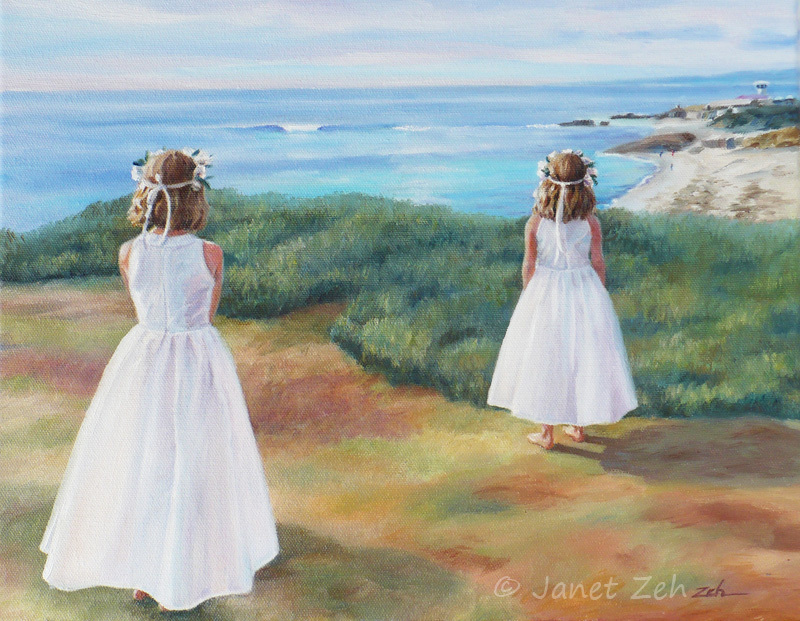 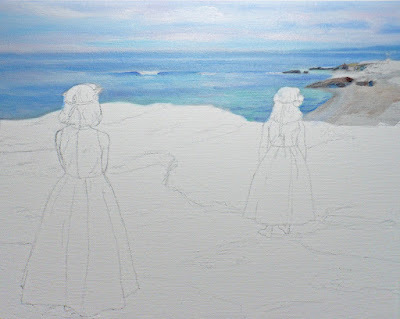 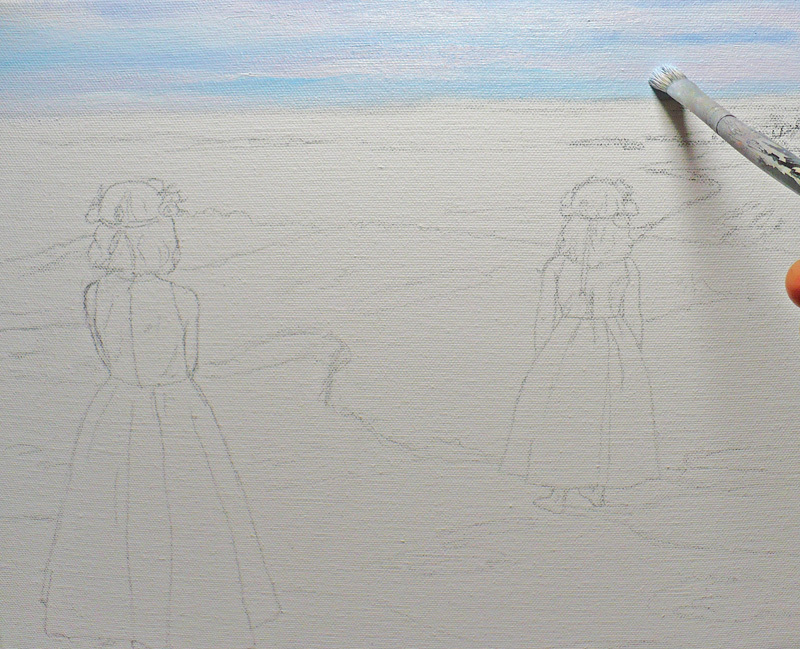 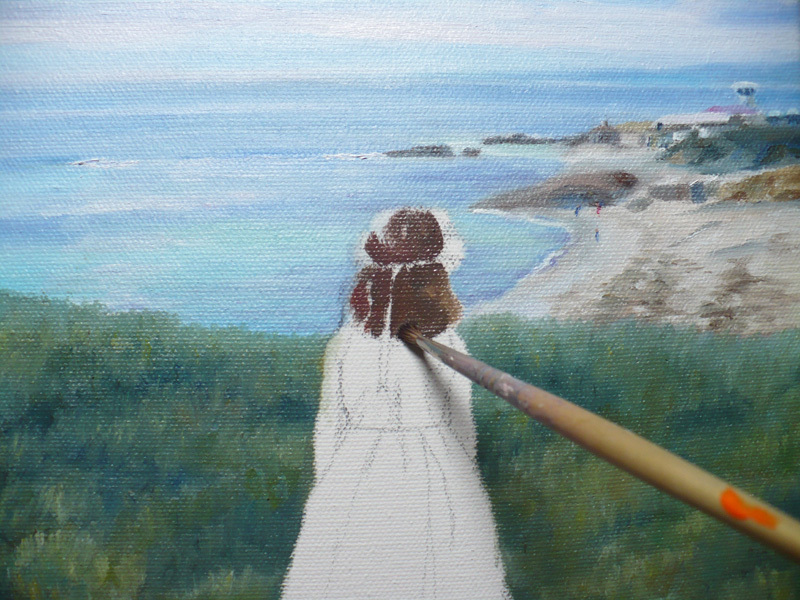 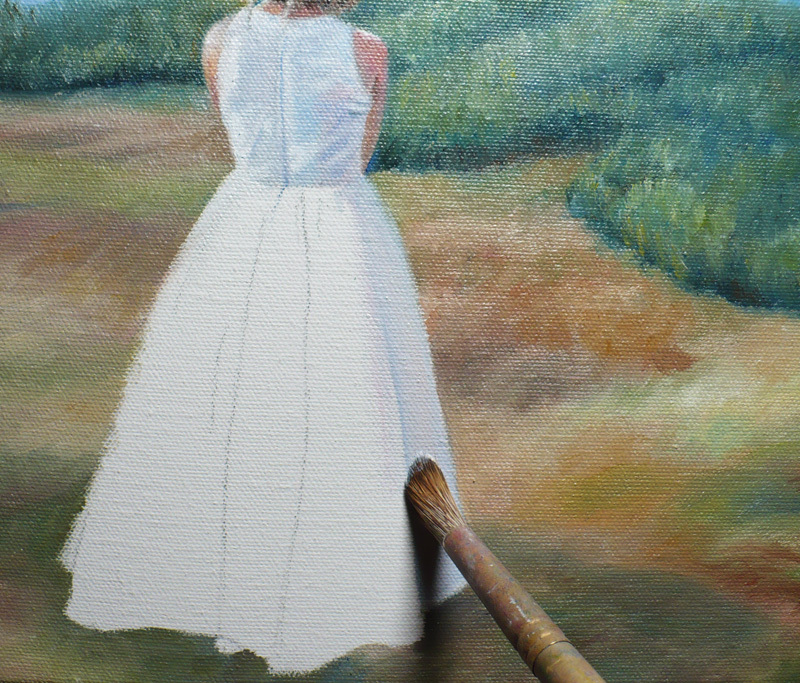 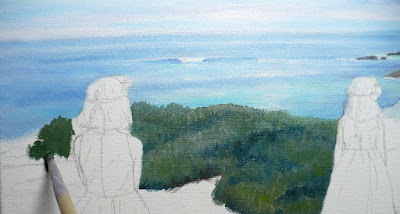 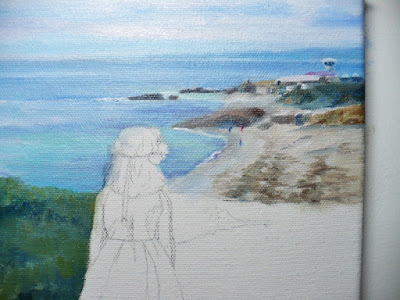 The reference photo she sent of her two girls attending as flower girls, showed them on a grassy bluff overlooking a picturesque ocean scene. 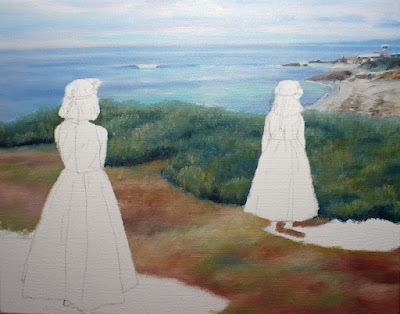 Once the two girls are done, the painting is finished. They seem to be dreaming while looking out at the lovely scene. 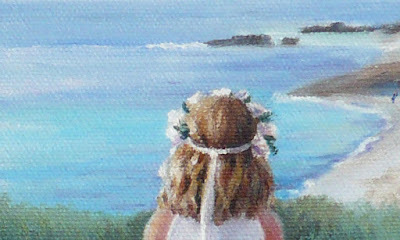 So the client named the painting "Flower Girl Reflections," the perfect name for this piece!